Jesse “Jesiz” Le, an LEC coach for Misfits, has been in some hot water lately. The biggest issue is that his team didn’t perform even with a so-called superstar roster. 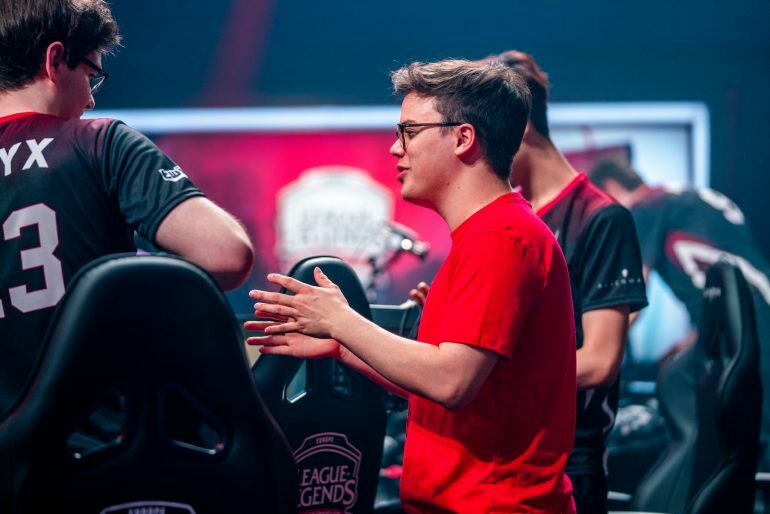 Misfits didn’t even make it into the LEC playoffs, a shock for a team with so many veterans. But after the Spring Split concluded, he might have placed himself in an even more precarious situation. One of the biggest storylines of the last week is the return of legendary ADC Konstantinos “FORG1VEN” Tzortziou from Greek military service. On Thursday, Jesiz announced that he wants to play with FORG1VEN again. There’s a lot to unpack from this announcement. First, the fact that Jesiz only wants to play if matched with FORG1VEN is another feather in the ADC’s cap. He’s so good—even after taking an extended break—that other players will literally drop what they’re doing to duo with him. Jesiz has played with FORG1VEN before, but briefly. Before the organization was accepted into the LEC, Origen was reborn momentarily last year for an appearance at the EU Masters tournament. Most teams present were young squads who played out of Europe’s national leagues, but Origen was the exception with its team of veterans. The other thing that might be going on is that Jesiz may not have a future with Misfits. After getting demoted from head coach to player development coach in the middle of the split, Jesiz may not see a path forward for himself as a coach. He’s been with Misfits for a year now, and the team’s results haven’t really improved. Whatever direction Jesiz ends up going in, we have a feeling that this is more about FORG1VEN than him. It wouldn’t be surprising if a lot of players—and teams—want to queue up alongside the talented, if sometimes hotheaded, carry.